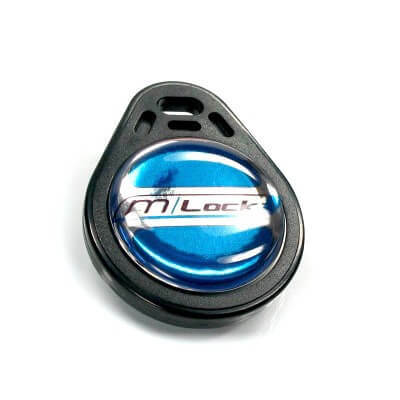 The Teardrop Key, used as ‘user key’, is a replacement or additional key for the m.lock RFID ignition lock. You can ‘teach’ a maximum of 3 keys to a single m.lock. For the teaching of additional keys the associated ‘Master-Key’ to the respective m.lock is required.